Last month, Bernard Kelly went out for a Sunday morning as he usually does. But this time he decided to carry two grocery bags with him. After covering 11 miles, when he returned home, he was sweating. And that healthy sweat wasn’t due to the running but from collecting the two bags full of trash. Kelly followed the same routine from the past year and a half and recently he came to know that his routine had a name – “Plogging”. And also it has also been one of the fitness trends of the year. The marathon runner said that he hates litter and he prefers these junk runs in which one has to fill up the bags with the trash. 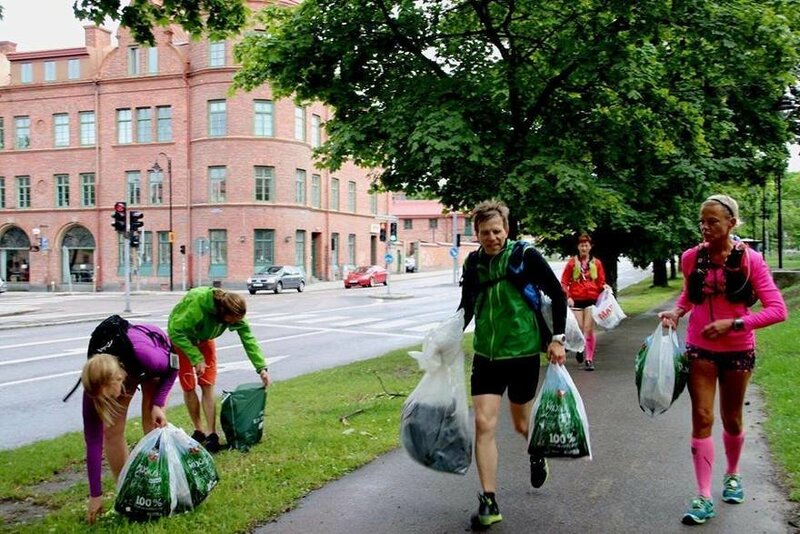 People of Sweden are famous for promoting multitasking as plogging, which is also a multitasking fitness trend which requires a runner to jog as well as pick up the trash. 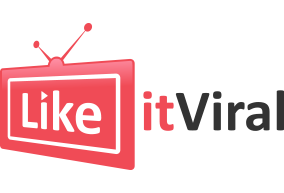 The fitness trend is getting fame day by day in the United States as many plogging groups have been created on the Facebook. A plogging event was organized by the Department of Parks and Recreation on “Earth Day” in Northwest Washington. Kelly also headed to this event and presented himself as a volunteer. 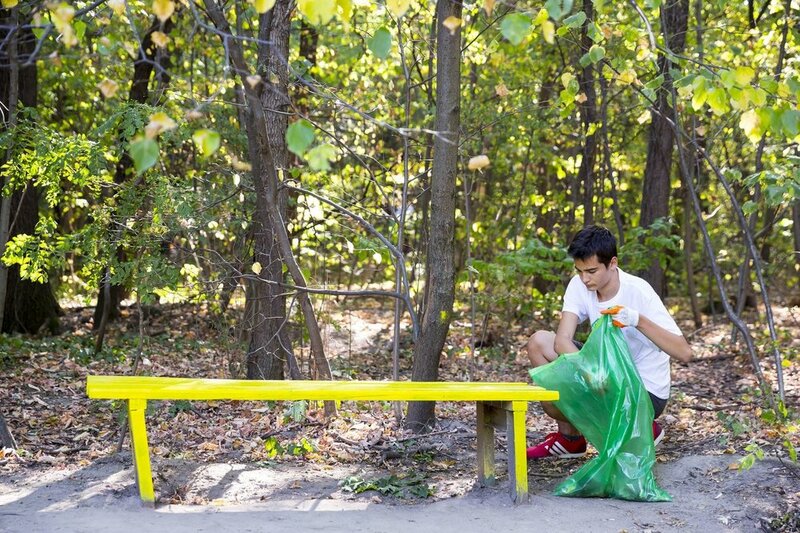 Being a marathon runner, Kelly was curious that how much weight he will lose by picking up the trash during the event. The weather at the event day was ideal for plogging as the temperature was 63 degrees. There were a few dozen people present at the event place when Kelly arrived. The plogger in chief at that day was Jeff Horowitz. After doing the warm-up exercise, Horowitz taught the group how to pick up the trash. He told them not to bend over while picking up the trash but only squat down. The coach told them that they can injure their back if they did not follow his instructions. Wearing red, the running coach Jeff Horowitz and his fellow volunteers picking up the trash. After getting plogging instructions from the coach, Kelly along with other volunteers put up the gloves and headed for a 2½ -mile jog with the plastic bags in their hands. Kelly said that it was only a matter of time that they found the trash. The marathon runner said that when one intends to look for the trash, he/she realizes that how much of it is present in the surroundings. There were plenty of cigarette butts along the way as the finished picking up trash from one block. The coach also told them to shout while picking up the trash to avoid collision with each other. Squatting down is the proper way of plogging, not bending down. 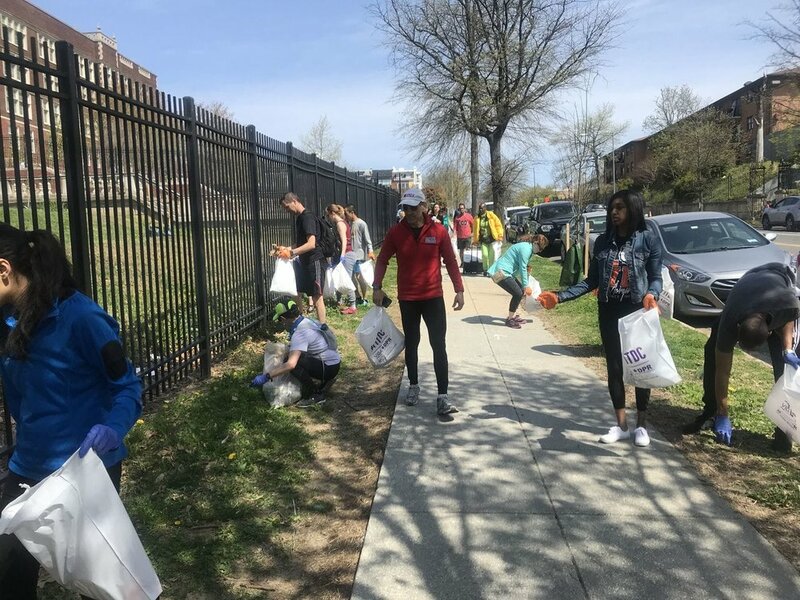 Rumiko Ito and Nick Hake from Alexandria, who heard about the plogging event on the radio, were stunned to see the amount of trash they collected during the event. Hake said that he was expecting a little trash but not that much. Hake further said he and his wife are a frequent runner but this is the first time that they were plogging. Ito, 38, said that the event was a good mix of cleaning the community and exercise. The plogging event was hosted with the contribution of Vida Fitness – a gym in Washington. While giving an interview, the program analyst of Department of Parks and Recreation, Marcus Markle said that plogging fits with D.C. Mayor Muriel E. Bower’s idea of FitDC. The plogger volunteers collected trash like pizza boxes, plastic bottles, and playoff tickets. Last year, Minneapolis was ranked 1st by the American College of Sports Medicine on the index of Fitness after the city was ranked 1st in the last three years as well. Markle said that plogging puts the responsibility on the residence of the community and helps take ownership of their surroundings. With plogging, people can come out and realize that they are actually playing their role in cleaning the community, he said. The Swedish fitness trend is getting famous in the United States. Horowitz said that plogging also makes people fit as it focuses on those muscles which people normally forget to work on. The Vida Fitness trainer said that there is a risk of injury while running but mixing it up with plogging helps in recovering the body muscles. Kelly said when he passed Francis L. Cardozo Education Campus, he emptied his trash bags twice. 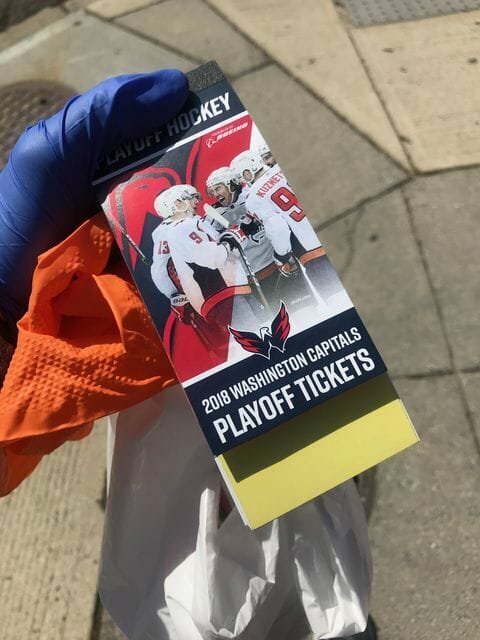 The trash he picked include pizza boxes, candy wrappers, capitals playoff tickets and plastic bottles.